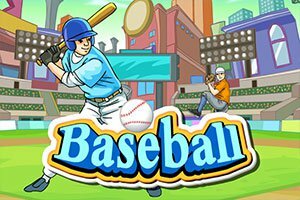 This is another great baseball game from Miniclip. 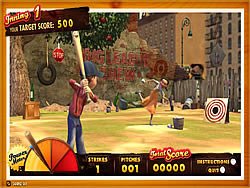 You can play two game options Arcade and Bottom Of The Ninth, in the Arcade option you can create a new player and start swinging. 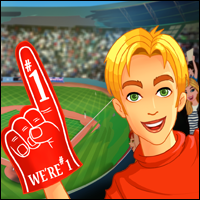 The Bottom Of The Ninth option let's you create a whole baseball team to play with. 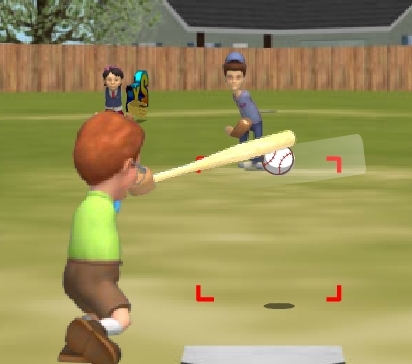 When you start batting and as the pitcher winds up a marker appears showing where the ball will pass you, then use the mouse to move the aim circle towards the marker. The closer you are, the straighter your hit will be. You can even control the direction by moving the aim circle relative to the marker to 'hook' or 'slice' the ball. To hit the ball up aim below the marker and to hit the bal down aim above the marker. 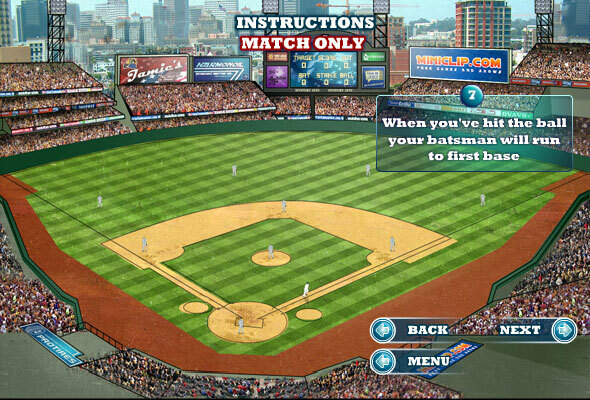 Then left click to swing and time it correctly so you hit the sweet spot! 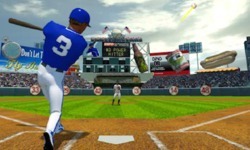 This is what you get when you cross baseball with tennis... How to play Power Ball. Press Z with perfect timing to hit the ball past your opponent. 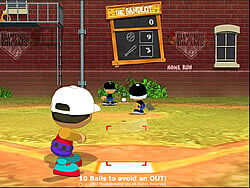 Copyright 2019 © Free Online Baseball Games All rights reserved.